Geeky new kid Breckenridge Puffington III has started at P.S. 38, and Principal Nichols wants Nate to be his buddy and show him... read more around the school. 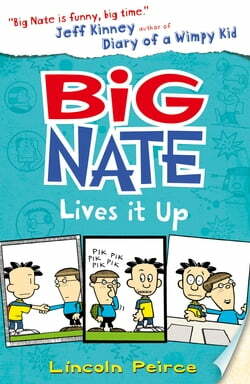 But it's hard to make a good impression when the school is one hundred years old and falling apart!Everyone's excited to celebrate the school's centenary and have a big party, but with the ceiling literally crumbling, can Nate convince Breckenridge that his school is still the coolest?